Lana Del Rey has always looked to ageless superstars as idols: to Marilyn Monroe, to Elvis, to players in a Great American Adventure that she was born too late to participate in. The cover to her third album ‘Ultraviolence’ goes so far as to reflect, albeit perhaps coincidentally, this era: black and white, the colour has to come from the performance, not the film it’s captured on. Don’t let the title fool you: ‘Ultraviolence’ doesn’t dream to provoke like its A Clockwork Orange inspiration might suggest. It doesn’t prickle, or poke. Throughout, what comes through clearest is a coherency defined by the distinct reluctance to do much to unsettle a trajectory that’s taken Del Rey from complete unknown through blog-hyped ‘newcomer’ to legitimate pop superstar. Songs, predominantly produced by The Black Keys’ Dan Auerbach, ally themselves with expected conventions: strings sweep in, drums march with funereal weight, and Lana sings like she’s calling to the stars themselves. To those in the dirt who went too soon, those whose legacy feeds so palpably into this artist’s oeuvre; and those above us, dying slow the other side of so many light years. In this respect, ‘Ultraviolence’ marks real progression: never has Del Rey sounded so compellingly crystalline on a set of recordings. Thematically, though, tracks can appear content to splash in the shallows. ‘Money Power Glory’, ‘F*cked My Way To The Top’: these songs of meeting aspirations via never-mind-the-nefariousness means might be conceived with a wicked tongue in cheek, with a detached role-playing perspective. But such is Lana’s gravitas that the listener immediately connects the dots between song and singer, excluding the possibility of transplanted players and relative characteristics. But when Lana’s singing about what we all need, beyond money, power and glory, she’s amongst the best the 21st century has to call its own. ‘Old Money’ is a love song that completely floors anyone who might feel that pop can’t carry emotion like it used to, high-shined as it’s become by technology. Here, pianos chime and violins peak, while Lana’s vocal is drawn in choir dimensions, echoing with real effectiveness across the barrier separating sit-at-home audience from studio-residing artist. To be in the room must have been electrifying. The bruises of relationships beaten down to dust take no time in blossoming: the title cut, coming in at track two of 11, speaks of hits that feel like kisses, be those of the fist-dealt or pharmaceutical variety. The song plays, too, on her coast-to-coast migration, from east to west: “We could go back to New York,” she sings, like that’d make everything, anything, the slightest bit better. ‘Cruel World’ states, “I’m so happy, now that you’re gone,” but sounds as much like its maker feels rather the opposite; and ‘Shades Of Cool’ examines a partner who can’t be trusted, just a Mad Men sync away from contemporary cultural greatness. The very best songs are probably those that have previewed this collection, not least amongst them ‘West Coast’. In the album context it takes on greater significance, a fulcrum at track five that balances the whole into leaving a better impression than it otherwise might. The track’s all drama and damaged dreams, fractured friendships and a deep-set heartache. It also displays a rarely witnessed ability to switch tact mid-song, to alter the arrangement so that it plays almost like a mini-suite. ‘Cruel World’ does this, too. 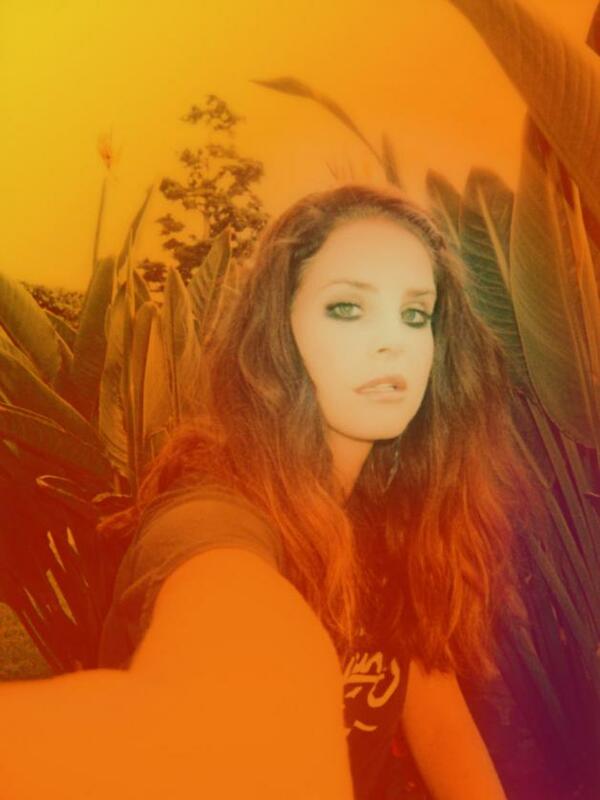 The album’s opener is Lana’s favourite, the track’s “juxtaposition of two worlds” summing up her “personal circumstances of everything going easily, and then being f*cked up”. So she tells us here. A cover closes proceedings. ‘The Other Woman’, penned by the late Jessie Mae Robinson, is more epilogue than credits accompaniment, a gentle kiss goodbye once the bluster’s died to silence. It’s slight and beautiful, relating to Lana’s personal themes but actually doing what her own songs can’t: it successfully casts Lana as the removed observer rather than the direct experiencer. It’s a role that suits her well, too, as she sounds so much freer here than on several of the preceding tracks. What there’s not is a number that will arrest the attention like ‘Video Games’ did – but then, Lana had the element of surprise on her side. The sometimes haphazard diversity of previous album ‘Born To Die’ has gone, too, at the expense of including a great but mismatched song like the more hip-hop-inflected, A$AP Rocky-starring ‘National Anthem’ (far and away this writer’s favourite from its parent record). To some, this will make for a collection that suits its monochromatic cover: several shades of the same themes, neatly hung together but lacking lasting resonance. For all its lows-inspired highs, ‘Ultraviolence’ is not quite the complete picture. But should a true director’s cut of this beguiling artist come at the next time of asking, she’ll realise a timelessness that so many of her influences had to die for.